Whether you are a professional poker player using online poker as an income, or just a casual poker player looking for a thrill with online poker, it is important to know how pot odds work. Knowing your odds is a fundamental concept and can become a powerful tool in determining whether you are a winner or a loser in the world of online poker. All you have to do in cash games is to decide whether or not a call is mathematically right. Determining the expected value of a decision is the simple process of finding out whether you will make a profit or make a loss if you made the same call an infinite number of turns. You should stay in your hand if your expected value is positive. Poker pot odds uses the likelihood of winning a hand to determine whether or not a player should bet or raise. Armed with this skill, a player can decide whether or not to fold or call depending on the cards at hand and the size of the bet. The ratio method is the most commonly used in the online poker world, as well as on many how-to guides, so we will focus on the ration method for this lesson. The ratio method is defined as the amount in the pot against the bet that you face. For example, if there are £9 on the table and you bet £1, you have to pay one-tenth of the pot amount to stand a chance of winning the entire amount. To win a pot of £10 with a risk of loosing £1 is represented as odds of 10:1. The size of the pot is calculated by the amount already in the pot plus any additional betting made in the current round. Now you want to know your odds of winning the hand that you have. Your chance of winning can also be represented as a ratio between the number of times you play and the number of times you expect to win. For example, if you expect to win 1 time out of every 5 times with your hand, the odds would be 4:1. It’s important to not that unlike calculating pot odds, the sum of the two numbers of the ratio must equal the total number of times played. Now that you know how much there you stand to win from the the pot out of what you bet (10:1) and the odds of winning (4:1), we can move on to finding out whether or not you will make money on this hand. In order to do this, we need to compare the two ratios. You should only call or raise if the pot odds are greater than your chance of winning; otherwise, if your pot odds are lower than your chance of winning, you should fold. Fortunately in this case, having 4:1 odds of winning is higher than your 10:1 pot odds! So you can see that you will win 1 out of 5 times. When placing a £1 bet five times (adds up to £5) you will expect to win £10 back at least once. This is mathematically profitable and suggests that you should continue playing this hand. Calculating poker pot odds and the odds of winning could seem to be a tedious task at first, but after you get used to it in the long run it is well worth the effort. If you continue to play with all the right odds and correct decisions, you will turn a profit in the long run. If you use the strategies described here to give yourself a mathematical advantage over others, you stand a chance of being a winner. There will be some occasions that players win on a bad hand or get lucky on poor odds of winning, but they will be losers in the long run. Use mathematics and ratios to help guide you decision making process, don’t let individual events affect your good judgment. 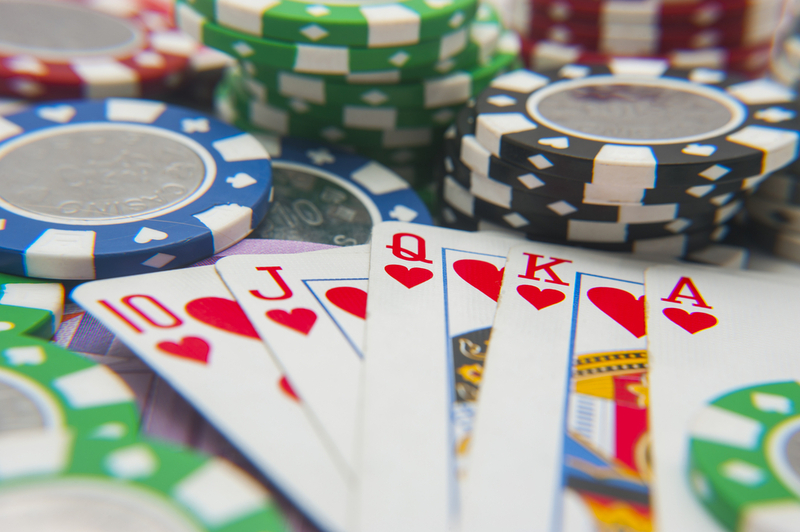 Remember to look for good value in an online poker game, look for odds of winning that are higher than pot odds! Always remember to only bet what you are comfortable with and gamble responsibly to make sure this is a fun game for everyone!